Fund: Community groups have the chance to secure a grant. Hebden Royd Town Council is urging community and voluntary groups, charities and non-profit making organisations to apply for a financial grant from the council’s community fund. 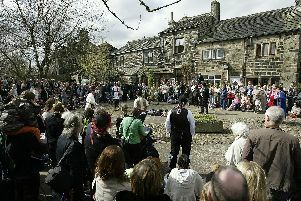 The fund pot will be used support projects, activities and events that benefit the residents of Hebden Royd. Each year, the council chooses an area of particular interest and this year’s is Young and Old – focusing on those at each end of the age spectrum, and considering projects that will provide resources for those groups. Completed applications for small grants under £500 will be submitted to the next meeting of the full council on a rolling basis. The submission deadlines are: 1 December 2018, 1 February and 1 April 2019. Any interested party can call town clerk Jason Boom on 01422 842181 or email info@hebdenroydtowncouncil.gov.uk for an informal chat and to discuss an application.